Pradakshina (Sanskrit), meaning circumambulation, consists of walking around in a ‘circle’ as a form of worship in Hindu ceremonies in India. The devotees walk around the garbha griha, the innermost chamber of the shrine housing the temple deity. It is done around sacred fire (Agni), trees and plants as well. Thus Pradakshina is done around Tulsi plant and Peepal tree. Pradakshina or Parikrama is done in pilgrimage centres also. Pradakshina literally means: to the right (Dakshina means right). So in Pradakshina, one goes to the left hand direction to keep the deity around the Sanctum Sanctorum on one’s right side. Pradakshina is one of the customary aspects of going to a temple. Typically, Pradakshina is done after the completion of traditional worship (pooja) and after paying homage to the deity. Pradakshina is supposed to be done with a meditative mood. Skanda Purana Ch.9 v.68 -In the word Pra-Da-Ksi-Na the syllable Pra dispels sin, the syllable Da bestows what is desired, the syllable Ksi causes the destruction of Karman and the syllable Na is the bestower of salvation. Hindus go round the sanctum sanctorium in the temples and sometimes the deities in the pujas or yajnas at home in a clockwise direction..We always assume God is the center of our existence. He also exists everywhere. So when we do Pradakshina or circumambulation, we accept that our actions and thoughts are always centred around God. The center point is always fixed and remains the same at whatever distance we do the pradakshina. So we are reminded of the eternal truth that God is the center of gravity and the main focus of our existence. This is the main principle of Pradakshinam. The world is always rotating around itself on its own axis as well as around the sun. All the planets also rotate on their own axes. This is called rotation and their rotation on their orbits is called revolution. Just like in solar system, the sun is at the center around which the planets rotate, our pradakshinams should be done with god at the center. The Pradakshinam should be done slowly and never in a hurry, Our thoughts and actions must dwell on God. It is normal to do Pradakshinam always in a clockwise direction. This is because we assume that Lord is always on our right side. This reminds that we must always lead a righteous life , in the right path called Dharma. Accordingly the number of pradakshinas are one for Ganapathi, two for Soorya (Sun), three for Siva, four for Devi and Vishnu and seven for Arayaal (sacred fig), generally there padakshinas are done in a temple in Kerala. Accordingly the first padakshina destroys all sins including brahmahathya papa (sin due to slaying of Brahmins), the second makes the worshipper an adhikaari (qualified person for material and spiritual pursuits) and the third helps the person in obtaining naindra-sampaada (pleasures of life which lead to final liberation). A number of twenty one pradakshinas in a day is considered most beneficial as per Swayambhoo aagama. Further he makes pradakshinas (devotional rounds) slowly with folded hands and visualizing the deity in his mind all the time. All these actions knowingly or unknowingly have salutary effect to ward off the ego from the mind of the devotee. It is noteworthy that the purpose of temple worship is never achieved unless one understands that visits to temples are temples are meant to help the devotee to shed his ego. The purpose of visits to temples is one’s own cultural emancipation which functions on functions on fundamental values known as dharma. We cannot draw a circle without a center point. The Lord is the center, source and essence of our lives. We acknowledge this by performing Pradakshina. Recognizing Him as the focal point in our lives, we go about doing our daily chores. This is the significance of Pradakshina. Also every point on the circumference of a circle is equidistant from the centre. This means that wherever we may be or whoever we may be, we are equally close to the Lord. His grace flows towards us without partiality. According to Adi Sankaracharya, real Pradakshina is the meditation that thousands of universes are revolving around the Great Lord, the unmoving centre of all forms.There is a popular legend about the significance of Pradakshina. Once Lord Shiva wanted his two sons, Ganesha and Subrahmanya, to get “worldly experience” and asked them take a “tour of the universe”. While Subrahmanya spent decades traveling the world on his peacock, Ganesha just walked a full circle around his mother and father and is believed to have explained “since the world is contained within you, I have already encircled the world”! Shayana Pradakshinam is done in a lying posture. It starts with a Sashtanga Namaskara in front of the sanctum sanctorum. In Sashtanga Namaskara, the devotees have eight parts of their bodies touching the ground. Thus forehead, chest, shoulders, hands and knees touch the ground. The folded hands will be directed always towards the deity. In this pose, the devotees circumambulate on the Pradakshina path. The relatives and friends of the devotees help them to roll around. This is a tedious ritual. The pradakshinam of the Supreme Lord with different Veda manthrams ( in different metres) and circumambulating Him in Aathma Pradakshinam and Bhahya Pradakshinams in a clockwise manner is indicated here. Why do we do Atma Pradakshina? May those omissions and commissions done in this life and also in the previous births and the resulting afflictions perish with every pradakshina. The story behind Pradosha is one often heard, beginning with the churning of the milk ocean by the devas and the asuras on a holy Dwadasi day. The very first product which came out of the milk ocean was the deadly poison, HalaHala. The devas and asuras were now in a fix. The poison from the sea came rushing after them, scaring them out of their wits. 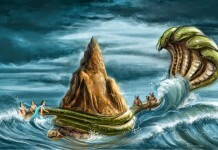 Vishnu was already holding the Meru mountain from below in his Kurma form, and unless the poison was removed from the milk ocean, the churning could not be resumed. It was while pondering over a possible solution, did Indra remember his grave folly No. 1. He had not seeked the blessings of Maheshwara prior to the commencement of the churning. He felt like kicking himself with the Vajraayudha. He was sure that SarpaBhooshana (The one who uses serpents as ornaments) would be the one who could pull them out of this mess. With fear clinging onto him like death and the poison chasing after them, he ran towards Mount Kailash with the rest of the devas in tow. “Namah Shivaya Om, Shivaya Namah Om”, they chanted on their helter skelter mad run towards Kailash. Kailash drew nearer and so did the gap between the poison and the devas. Finally, huffing and puffing, they made it to the foot hills of the Himalayas, and there what a sight awaited them. A very angry Nandi stood at the gates to Kailash, looking close to murderous. “Go back, you filthy unloyal scums. You dont seek the blessings of Eashwara when you start on this earth wrecking experiment, but now in a time of difficulty you come running here”, he roared.”Go back before I gore you to death with my horns”, he warned. Having warned, he lowered his sharp tipped horns. Flabbergasted, the devas retreated, only to be met by the rippling waves of hala hala behind. Shocked to death and having no other go, Indra and the devas ran towards the left of the mountain, chased by the Poison. They circumambulated the Holy Kailasa and came back to the starting point, where, at the entrance they were once again met by Nandi, his sharp horns glinting in the sun. “Back up”, shouted the devas all over, and they turned around, running back around the mountain once again to be driven forward by the poison. This very funny running-around-the-mounttain game went on, leaving the devas (who were already weak) totally exhausted. Shiva finally decided to have pity on them and came down from his divine abode, shining like a thousand majestic suns. Parvathi sat down, and gently took Shiva’s head into her lap. What a sight it was, Parameshwara, his neck all blue, resting on the lap of Jagathjanani. The devas, thanked Shiva in their hearts and waited with bated breath for the lord to show signs of normalcy. The whole of Kailash was engulfed in a deathly silence, waiting for its lord to revive. One and a half days passed, and the thithi of Thrayodasi on Saturday was nearing its end and still Shiva showed no signs of motion. The devas grew worried and their feeling of guilt increased. The sun was sinking low on the horizon on the sacred thrayodasi day, when the anklets of Shiva moved around producing the ever resonant Om. Shiva sat up, as though from a blissful sleep and cast an eye full of grace on the devas. “Namah Parvathi pathaye”, Indra praised, immediately followed by all the devas resonating, “Hara Hara Mahadeva”. The lord was back to normal. Nandi, was overjoyed and kept shaking his head like an adamant small child. When he had carried the poison over to Shiva, the fumes of the deadly halahala had entered him and had slightly damaged his senses. The joy that he felt now was not due to the recovery of Shiva, but rather due to a baseless pride that the poison which had affected even Shiva had done nothing to him. But ofcourse, it was only due to the damage of his senses that Nandi ever had let such blasphemous thoughts enter his head. Parvathi threw a concerned glance at Nandi and then turned back to Neelakantha (The blue throated one), her eyes full of question. Shiva decided to to cure Nandi of his current head weight and at the same time show all of the world that he was indeed alright and that nothing could destroy him. Summoning Nandi, the God of Dance placed his tender feet on Nandi’s head and stood on his forehead. Then, with Vishnu blowing the panchajanya, Indra at the mridangam, Saraswathi playing the veena, Lakshi clanging the cymbals, Brahma clicking the nattuvangam and Gauri herself leading the vocals, Nataraja, sounding his drum all by himself, danced over the head of Nandi, between the two horns, to show to the world that he was just as normal as ever. The whole world watched this divine dance with absolute raptness. They had seen nothing as beautiful as this before. For the next one and a half hours leading to sunset, Shiva performed his Sandhya Thandava (evening dance), his lotus feet hitting on Nandi’s head, driving out his insanity. What an awesome sight it was. The world was indeed blessed. These one and a half hours, spanning from 4:30 PM to 6 PM in normal human days, form the period of pradosha everyday. 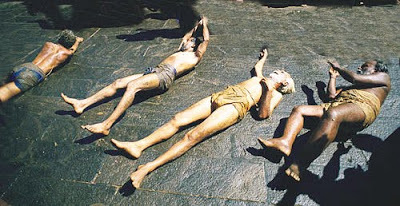 However since Bhagawan had danced on the thithi of Thrayodashi, these one and half hours on thrayodashi are observed as the time of pradosha in all the shiva temples in the world. There are five types of pradoshas known. They are:- Nithya pradosha (Daily), Paksha Pradosha (Every Thrayodashi), Maasa Pradosha (thrayodashi of Krishna paksha), Maha pradosha (when pradosha falls on a saturday) and Pralaya Pradosha (At the end of all times, when all creation will recede into shakthi and shakthi herself will recede into Shiva). There are people who observe pradosha every day too. Pradosha vratha has a number of unique observances and was preached by Sandilya Maharishi to a woman, her son Suchivratha and an orphaned prince Dharmaguptha. 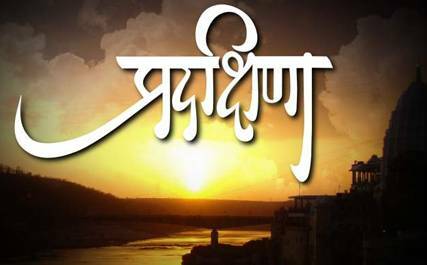 It is said that after 8 pradoshas, Suchivrata got to drink the amrutha and Dharmaguptha married a celestial princess and by the grace of Shiva was able to regain his kingdom. Such is the power of the vratha. The general procedures of the vratha match closely to the other vrathas and should essentially include Ahimsa, Sathya (truthfulness), Daya (compassion), kshama (forgiveness) and brahmacharya. The vratha is ended in the evening with the visit to a Shiva temple during pradhosha kalam and taking part in the worship there. 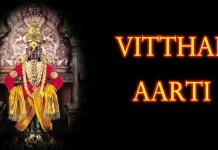 Over the one and half hours, the lord is bathed in various substances and special pooja is offered. Nandidevar gets equal importance and is given special abhisheka in milk, sandal, water, fragrant fluids among others. He is offered a special dish made out of red rice (Puttarisi) and worshipped by everyone. People even take the liberty of whispering their wishes into his ears to pass them onto Shiva, for during pradhosha, Nandi is said to be closest to the Lord. It is also customary to have a darshan of the shiva linga through and in between the horns of Nandi, just the way he had danced at the very first pradosha. The highlight of every pradosha is the Soma Sooktha Pradakshinam. 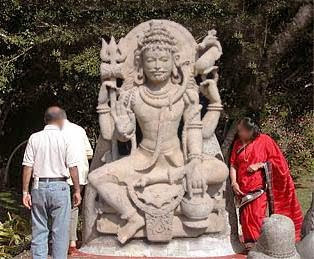 The Pradosha Nayakar is a small statue of Shiva and Parvathi, standing on Nandi. He comes out only during the pradosha and hence the name. The Pradosha Nayakar is carried in a procession around the temple three times, followed dutifully by all the devotees in what is called the Somasooktha pradakshinam. But the order of the pradakshinam is the weirdest ever. The pradakshinam starts at the Kodimaram, behind Nandi. Having a darshan of the linga through Nandi’s horns, the procession goes around the temple anti-clockwose until it reaches the Gomukhi (the spout from which the abhisheka waters come out). There the procession turns back and comes back to the Kodimaram and continues its clockwise rotation until it reaches the Chandikeswara shrine. Once again the direction of travel is reversed and the procession ends up at the kodi maram. This bizzare circumambulation is repeated three times with the Pradosha Nayakar in the lead. This is called the Somasooktha pradakshinam because while doing it, the lord and the devotees describe the shape of a crescent moon (Soma-moon). And if you have been thick enough not to unravel the reason behind this odd form of pradakshinam, then here it is. It is done to commemorate the circumambulation of the Devas around Mt Kailash when they came for help. They kept running between Nandidevar and the poison, denoted respectively by the Nandi mandapam and the gomukhi, in a similar fashion until Shiva decided to sort things out. The Somasooktha pradakshinam is infact a re-enactment of the devas pleading to Shiva for help.